Have you ever thought of using your mobile phone camera as webcam for pc, instead of your default webcam. If not ! then let me tell you something, this is really possible. Now you no need to struck with webcam attached with the PC, get rid out of wires with wireless technology such as bluetooth, wifi and move on to video chat capture your live movement in high quality(HQ) and be crystal clear with your friends. Even though latest mobile's released with the built-in secondary camera's for video chat, the Mega Pixel of the secondary camera are usually lower than the primary camera, which will result in low definition videos. Mobile Phone As Web Cam Its Possible Now ! Note: since devices need to be synchronized, mobile camera and computer must be enhanced with either bluetooth, wifi (or) USB cable for connectivity, but using USB cable is not highly recommended since it's wired and create's the same experience just like the default webcam. 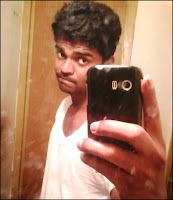 Video Chat with primary mobile camera. No need of default Laptop/desktop webcam attached. HQ streaming online video chat. To use it you need to download two application, one for your computer and another for your mobile device. Note: This smartcam app is just a medium which is used to replace the webcam with mobile camera and it requires Video chat application such as Skype, Yahoo, Google Hang Out's etc to be installed. Second download smartcam for mobile device, select your device platform from the list below and install it in mobile device. Now open the smartcam application in mobile device. Go to settings and enter the local IP. Select connection medium either wifi (or) bluetooth. Once the connection is synchronized between the mobile device and computer. 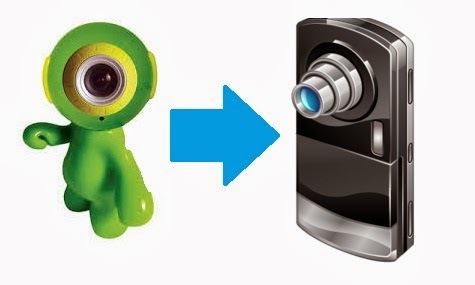 Go to video settings in video chat application and select webcam as smartcam. And your'e done, enjoy HQ video chat with mobile camera. Hope you enjoy this article, do comment below, we are looking for your valuable feed back and query. thanks sir it was very helpfull to me!!!!!!!! thanks john its realy intersting. How to connect it with skype? Only Android everywhere, what about Windows Phones?